For those who appreciate true quality there is no better choice than Vincent Longo Custom Builders. This team doesn’t provide a regular construction service but rather they approach every home that they build as a work of art. 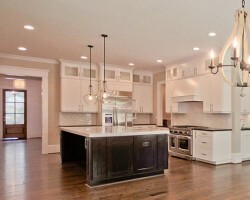 As they focus on the higher end of homes they have built some of the most prestigious neighborhoods in Georgia. To have one of the most professional teams in the industry overseeing the entire construction process, you need to hire this luxury home builder. When Dan and Elaine McSwain founded KM Homes their aim was to create a residential building company that really put the clients first. This means not only offering complete flexibility but also being there to provide expert advice when it is needed. 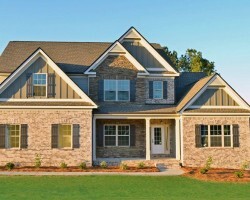 Now KM Homes has been passed down the family and has been settled in Atlanta since 1985. Their gallery of past projects includes some of the most lavish homes in the city and a diverse range of styles and architecture. Reliant Homes is a company that believes in exceeding all expectations and providing full flexibility to their customers. 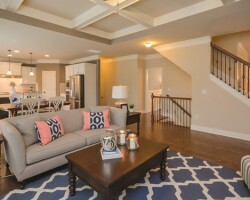 These home builders in Atlanta, GA are unique in that they offer a wide selection of floor plans that provide guidance to clients but they are also open to making modifications to suit each individual family. Reviews from previous customers regularly mention that they felt like they were really listened to by the designers and construction team at Reliant Homes and that the service did everything to meet the client’s requirements. 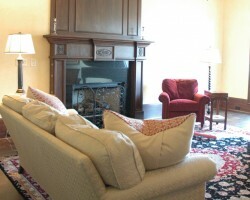 There is a real difference between Nellie Poston Custom Homes and other local building contractors in Atlanta. The homes of this company exude all kinds of luxury and are only suited for the best neighborhoods in the city. The fact that the homes that they design are true masterpieces has resulted in this company becoming known throughout the industry as one of the finest home building options. Simply viewing their gallery of previous projects will have you convinced that this is the right choice for you. There is nothing half done about Steve Powell Homes. Every member of the team is fully dedicated to the smallest of details that always add up to some of the most impressive buildings in the city. Unlike many Atlanta custom home builders this team understands the pressures for clients using their services for the first time and so they aim to make everything, from the process to the prices, as straightforward as possible. To show just how much they believe in the quality of their work they offer an included warranty to all of their clients.